George Hill's mother was Catherine Smith and his father was John William Hill who was an artist specialising in engraving. In 1846, when Hill was eight years old, his family moved to a farm near West Nyack, in New York, where George attended school. He received a somewhat basic education at secondary school, yet he shone in the mathematics classes. After graduating from high school he entered Rutgers College in 1855. It had been an institution of higher education from 1766 and had been renamed Rutgers College thirty years before Hill studied there. Hill had graduated just before the Morrill Act of 1862 led to Rutgers College becoming New Jersey's land-grant college in 1864. Certainly Hill's undergraduate studies at Rutgers College were highly unusual for American students of this period. He was taught at the College by a very able mathematician named Thomas Strong who was a friend of Bowditch. Strong had a fine library of classic mathematics texts which he was pleased to allow the talented undergraduate Hill to study. These texts included Lacroix' Traité du calcul différentiel et intégral, Lagrange's Méchanique analytique, Laplace's Méchanique céleste and Legendre's Fonctions elliptiques. Hill graduated from Rutgers College in 1859 with his A.B. The following year he began his study of the lunar theory of Delaunay and Hansen. He was to continue this study for twelve years before he produced any publications of his own. He was awarded his A.M. by Rutgers in 1862. In 1861 Hill joined the Nautical Almanac Office working in Cambridge, Massachusetts. In the same year he won first prize for his essay On the confrontation of the Earth in a competition which was run by Runkle's Mathematical Monthly. After two years in Cambridge, Massachusetts he returned to West Nyack where he worked from his home. This suited the reclusive Hill who prefered being on his own. Except for a period of 10 years from 1882 to 1892 when he worked in Washington on the theory and tables for the orbits of Jupiter and Saturn, this was to be the working pattern for the rest of his life. He was essentially of the type of scholar and investigator who seems to feel no need of personal contacts with others. While the few who knew him speak of the pleasure of his companionship in frequent tramps over the country surrounding Washington, he was apparently quite happy alone, whether at work or taking recreation. ... of but fifty quarto pages has become fundamental for the development of celestial mechanics in three different directions. ... Poincaré's remark that in it we may perceive the germ of all progress which has been made in celestial mechanics since its publication is doubtless fully justified. Newcomb persuaded Hill to develop a theory of the orbits of Jupiter and Saturn and Hill's work on this topic is another major contribution to mathematical astronomy. Hill's most important work dealt with the gravitational effects of the planets on the Moon's orbit so in this work he was considering the 4-body problem. Examples of papers he published in the Annals of Mathematics include: On the lunar inequalities produced by the motion of the ecliptic (1884), Coplanar motion of two planets, one having a zero mass (1887), On differential equations with periodic integrals (1887) (these differential equations are now called Hill's differential equation), On the interior constitution of the earth as respects density (1888), The secular perturbations of two planets moving in the same plane; with application to Jupiter and Saturn (1890), On intermediate orbits (1893), Literal expression for the motion of the Moon's perigee (1894) and Application of Chebyshev's principle in the projection of maps (1908). He also published On the extension of Delaunay's method in the lunar theory to the general problem of planetary motion in the Transactions of the American Mathematical Society in 1900. Although he must be considered a mathematician, his mathematics was entirely based on that necessary to solve his orbits problems. His new idea on how to approach the solution to the three body problem involved solving the restricted problem. In this he assumed that the three bodies lie in the same plane, that two bodies orbited their common centre of mass, and that the third body orbited the other two but it was assumed to be of negligible mass so did not affect the orbits of the two (assumed massive) bodies. He had no interest in any modern developments in other areas of mathematics which did not relate to solving problems about orbits. In fact Hill worked on very similar problems to Adams. It is no coincidence that Adams was also led to investigate infinite determinants and he did this work quite independently of Hill. ... characteristically returned the salary, writing that he did not need the money and that it bothered him to look after it. Hill never married and spent most of his life on the family farm at West Nyack. His income was small, but so were his needs, and several of his brothers lived nearby. Although a virtual recluse, he was happiest there among his large library, where he was free to pursue his research. He died at his home in West Nyack. Hill was elected to the National Academy of Sciences (United States) in 1874. He was elected a Fellow of the Royal Society (1902) receiving its Copley Medal in 1909. He was elected to the Royal Astronomical Society and they awarded him their Gold Medal in 1887; it was presented by Glaisher who was president of the Society. 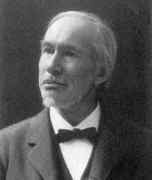 Hill was president of the American Mathematical Society from 1894 to 1896 delivering his presidential address on Remarks on the progress of celestial mechanics since the middle of the century. He was elected to the French Academy of Sciences who awarded him their Damoiseau Prize in 1898, and to the Russian Academy of Sciences who presented him with their Schubert Prize (1905). The Astronomical Society of the Pacific awarded him their Bruce Medal in 1908. He was also elected to the Royal Society of Edinburgh in 1908, the Royal Belgium Academy of Science (1909), the Norwegian Academy of Science (1910), the Royal Swedish Academy of Sciences (1913), and the Accademia dei Lincei in Rome (1913).